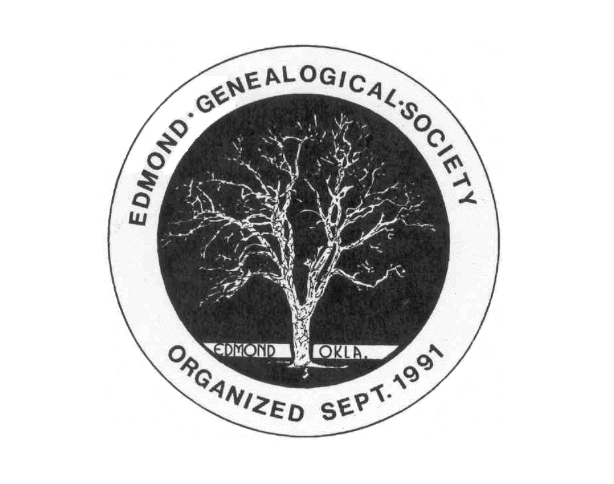 The Edmond Genealogical Society (of Edmond, Oklahoma), was established in 1991. The Society is there to encourage the science of genealogy; to help others gather genealogical information; and to preserve, protect and publish information of importance. They are there to serve visitors as well as members. EGS Membership is open to anyone interested in genealogical research. They have four types of memberships: individual, family, honorary, and charter. Individual memberships are for persons 18 years or older. Individual memberships are $15 per year. Family memberships are available for related persons, such as a spouse, son or daughter, who live in the same household. Family members are not eligible to hold office, and are not counted to make a quorum at any meeting. Family memberships are $20 per year. Honorary Memberships are by vote of the society, and are not counted to make a quorum, nor may they hold office. Charter members are those members who were in good standing as of December 31, 1999. The publications in the Edmond Genealogical Society library, and the databases, are available for free to members. However, members who want access to Ancestry as a member benefit must pay their dues and attend EGS meetings. The Edmond Historical Society has a list of family resources that are available for each of those surnames. Some families have more items than others. Visit the Edmond Historical Society website for more details. For example, the Tennis family has a Tennis family scrapbook. The Strother family has information from several of their Biennial conferences. * Do you want to be remembered fondly by loved ones? * What will happen to your genealogy files when you die? 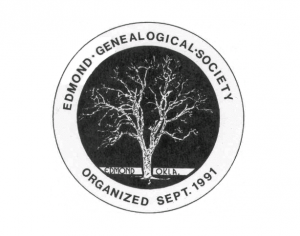 You can find a list of upcoming programs on the Edmond Genealogy Society website. There is one genealogy related program every month. There is information on upcoming programs from April of 2017 through November of 2017 available.